As kids, we were taught to clean our plates, but at today’s restaurants, that can be a monumental and unhealthy task. The average restaurant meal is more than four times larger than it was in the 1950s and can be up to eight times larger than USDA or FDA standard serving sizes. Bigger portions mean we end up eating more, but another hidden consequence is that we waste more, too. According to a report from the National Resources Defense Council, diners don’t finish 17 percent of restaurant meals. 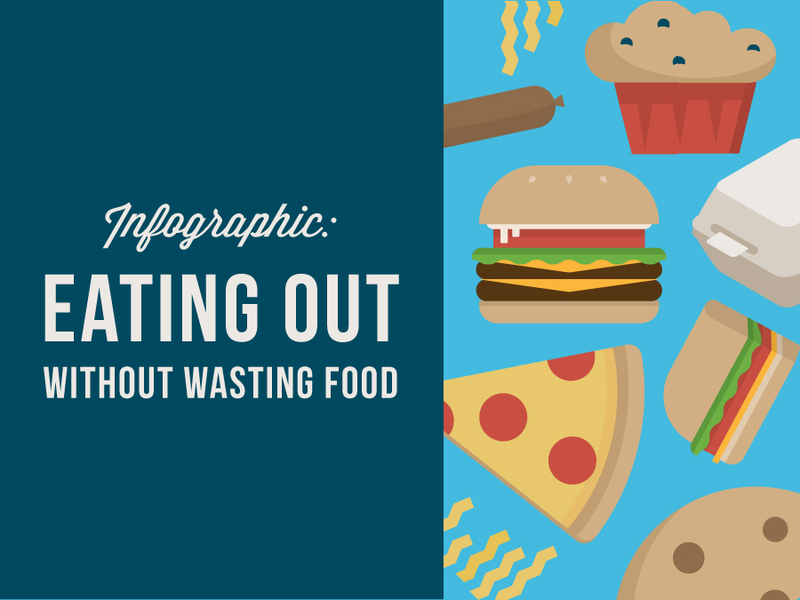 Fifty-five percent of that plate waste doesn’t get taken home, and for the food that does get boxed up, 38 percent never gets eaten. Add this waste to the four to 10 percent of food purchased by restaurants that is lost before reaching your plate, and it’s easy to see how restaurant food waste is nothing to scoff at. 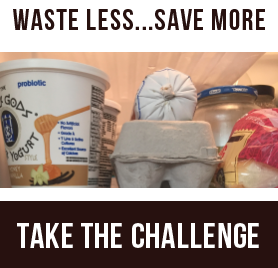 The good news is that there are easy, actionable steps we can take to dine out with less waste. If you’re a restaurant regular, check out the facts and tips in our infographic below. If the size of a restaurant’s portions are too much for you, ask if they offer reduced portions. If they don’t, let them know you’d like to see smaller portions at their restaurant. If you don’t want something that comes with your meal, tell your server to leave it off. Let’s face it: Many restaurant meals are big enough to feed two people. If a fellow diner is keen on the idea, consider splitting an entrée. If no one wants to share, a more manageable and interesting meal can usually be made of appetizers, salads, soups or sides. If you do get served more than you can eat, ask your server to box up the leftovers. (Bring your own containers if you’re concerned with packaging waste.) Once you get home, be sure to eat them or repurpose them into another meal within a day or two. If you tend to eat more than you’d like when faced with a mega plate of food, ask your server to box up half your meal before you eat. Try a tapas/small plates restaurant. Plenty of restaurants are known for serving small portions meant for sharing. The great thing about these restaurants is that they encourage ordering a few dishes and keeping a menu on hand to order more if you are still hungry. Trays in cafeterias have been proven to cause more food pile up, and in turn, more food waste. A study at American University documented a 32% reduction in food waste when trays were made unavailable at a university dining facility. If you eat regularly at a cafeteria with trays, try going trayless and see if it helps you send less uneaten food down the conveyer belt. Give your leftovers to someone in need. If you know you’re not going to take an unfinished meal home, like when you’re traveling or not going directly home, at the very least, ask for a to-go box and place on top of the nearest post office box. That way, the next homeless (or hungry!) person who comes along will be able to pick up the food. If you want to go further in reducing restaurant food waste, get to know which restaurants in your area are involved with local food rescue organizations. Ask if they donate excess food to feed the hungry or if they compost their kitchen scraps. There are a lot of restaurants making strides in sustainability. Infographic sources: National Heart, Lung, and Blood Institute, Food Waste Reduction Alliance, Journal of Experimental Psychology, Natural Resources Defense Council, Journal of Hunger and Environmental Nutrition.